By Frederica Mathewes-Green – 289 pgs. 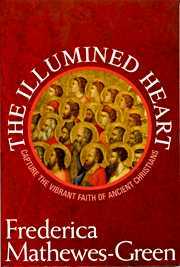 Now in paperback – Frederica’s best-selling, inspirational guide to rediscovering the faith of the early Christians. Why are modern Christians so indistinguishable from everyone else? How come Christians who lived in times of bloody persecution were so heroic, while we who live in safety are not? How could the first Christians fast valiantly, but we feel deprived without dessert? How did New Testament believers pray without ceasing? How could the early Christian martyrs actually forgive their torturers? What did the Christians of the first centuries know that we don’t?